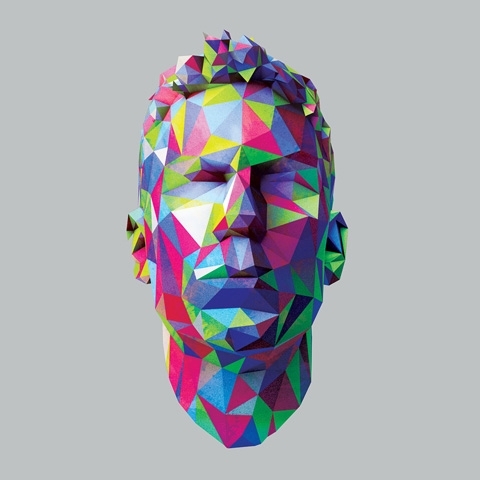 "You know, I love to play house in Chicago, and I've been looking forward to this date the whole tour" an elated Jamie Lidell exclaimed to his sold out audience at Lincoln Hall last Saturday night. Any fan of Lidell knows his love of funk, soul, and electronic, so it was no surprise that his set was chocked full of homage and honor to the Chicago house style that he loves as a fan himself. Weaving together a set of new tunes, soul crooners and house style, his one man set-up showcased Lidell at his finest form. Like a kid fiddling knobs in his basement, elated with joy at the creation of his art, he spent the night tucked behind at minimum six mixing boards and dancing along with the audience until the very end. He opened the set with "I'm Selfish," one of the standout tracks (there are many) off his latest self-titled album. The bass rattled the room as he perfectly synced up the music into a chop and screwed breathy bass heavy version of his early hit "A Little Bit More." After another cut from the latest album (the funk fueled "You Know My Name") Lidell emerged from his chrome and mirror spaceship style set-up to take frontstage and wail on the smooth soul sounds of "What Is It This Time?" His production work is always interesting live, but he made sure to remind fans throughout the set that he's got the pipes to prove that his slower songs are worthy of the same attention. His love of Chicago house made its first appearance of the night when he turned the retro "Music Will Not Last" from a crowd clapping singalong into a lush mosaic of layered loop samples that resembled Cajmere's "Coffee Pot (It's Time for the Percolator)" before shouting out over the beat "Keep Electronic Music Alive!" He might be an artist, but first and foremost Lidell is a fan, and it shines through in his performance. The night continued with my favorite track off the latest album, "What a Shame," which has one of the sexiest drops in current music, a wonderful blend of electro pop and funk. Next was another round of slow jams with "She Needs Me," which saw Lidell channeling some legit old school Chicago steppin style, before ending his set on another Chicago house fandome note. He remixed "When I Come Back Around," extending the song and shouting "Can You Feel It" (an obvious hat tip to Mr. Fingers) before seamlessly dropping the beat and getting the entire dance floor moving in time. He reappeared on the stage to the thank the crowd before coaxing some of the crowd up front to take the mic and sign along on "Multiply." He queued up the last track, "Big Love" before jumping back up front to lead the whole room in a call and response singalong, encouraging everyone to dance. His own love of music and charisma is infectious, and I noticed a lot more people singing along and letting lose a bit, something we all could use a bit more of in life. Without hesitation I can state it was one of the most fun times I've had at a live show in recent memory. As a music fan, when you get to see an artist that you have that kinship of being a fan with, it makes every note seem more real and heartfelt. You find yourself getting more lost in the music, moving with the beat, and feeling right at home. We need more artist like Lidell in the world, creating content with no pretension, no overt theme or over-the-top performance art, but simply making the music that they themselves love.